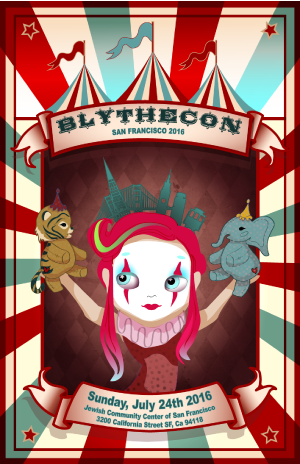 When I read that the BlytheCon USA will be next year in San Francisco I was very excited! San Francisco is one of my bucket list cities! The event theme is perfect: Circus by the bay! The city by the bay wants you to imagine the Big Top, the bright lights, the fantastic acts, the freak shows, the geeks, the tattooed ladies, the magicians, the clowns, the highwire, and so much more! If you want to know more information about the event, please visit their website!